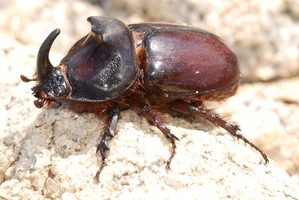 Cockroaches are among the most annoying household pests. Not only are they annoying, they are also quite bad for your health in that they can carry different diseases. They have harmful microorganisms in their saliva that they spread on food items, causing a number of serious health problems. They can also damage clothes, books, wires, electronic items, and many other items in homes. It is therefore important to learn ways to keep roaches away to avoid dealing with issues that they cause. You can easily find cedar chips, balls, and blocks in the market that you need to place in different areas of your home to deter roaches. Cedar also helps keep other bugs out of your home. It is quite an effective way to get rid of roaches and is in use since ages – that is probably the reason you can find so many old closets and dressers lined with cedar. Just like cedar, bay leaves work quite effectively when it comes to keeping roaches out of your home. Cockroaches do not like the scent of bay leaves, which is why they work great. 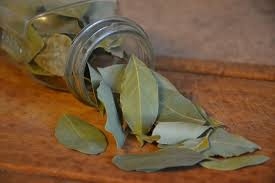 You can find bay leaves in any grocery store. Get a few of them and put them in a small sachet. Just place a sachet in your closet or cupboard to keep roaches away. Learn to make a homemade bait to understand how to keep roaches away. Combine one part each of white flour, powdered boric acid, and sugar. Make dough using this mixture and place it in different areas of your home. The sugar and flour mixture attracts roaches and the boric acid kills them. Be sure to use the bait for at least a couple of weeks and ensure your kids and pets have no access to these baits. 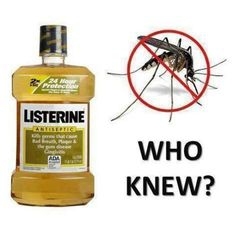 Listerine often works great as a cockroach repellent. You can make a solution by combining equal parts of Listerine and water. Add a couple of drops of dishwashing liquid to this solution and put it in a spray bottle. Sprinkle it in places where you find roaches most often. You can set a petroleum jelly trap to get rid of roaches. 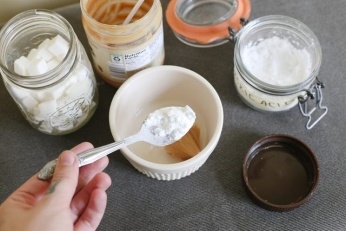 Get a wide mouthed jar and apply some petroleum jelly on the inside of the rim. Put some fruit peels inside the jar and leave it overnight – ensure you do not close it. 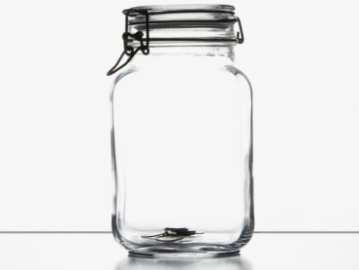 Roaches will enter the jar to eat fruit peels but they will not be able to escape because of the petroleum jelly. Wondering how to keep roaches away? Many insecticide sprays are now available that work great against roaches. Ensure that the spray you are buying contains Cyfluthrin or other insecticides. 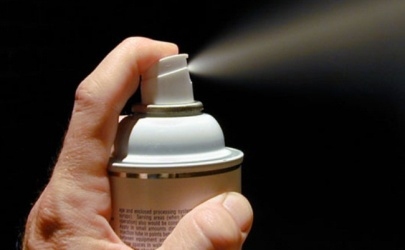 Be sure to spray well around your house, especially in cracks, along walls, and in vents. Be sure to follow safety instructions mentioned on the bottle. Keep in mind that spray can keep roaches out of your site but you may still have to try something else to treat the nest. Liquid concentrates are no longer the domain of professionals – you can find them easily now. The concentrate is actually a deterrent chemical or poison diluted with water and then applied to any crack, surface, or crevice to eliminate roaches. When used properly, concentrates can keep roaches away for at least a couple of weeks. It certainly takes time to seal your house properly, but it really helps keep roaches from entering your property. Look for any cracks in your exterior walls and seal them properly. Seal any cracks inside your house and rid roaches of their favorite breeding places. 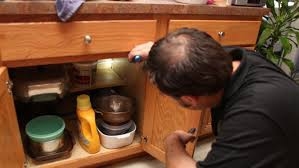 Ensure that you have also fill cracks inside your cabinet, as well as on sides of doors, floors, and window moldings. You can find several ways of how to keep roaches away, but using fabric softener is an effective way to kill them. Since roaches breathe through their skin, spraying them with fabric softener and water makes it difficult for them to breathe and survive. Make a solution by combining 3 parts of fabric softener and 2 parts of water in a spray bottle and spray it over roaches to kill them. Ammonia has a pungent smell that repels roaches. Make a solution by combining 2 cups of ammonia in a bucket of water. Use this solution to wash the surfaces of your bathroom and kitchen to keep roaches away. Be sure to use this solution at least once every couple of weeks to keep roaches from entering your house. Flies, roaches, and many other insects just do not like the smell of several essential oils, such as cedar, rosemary, fir, eucalyptus, and lemon essential oil. Soak a cotton ball in essential oil and leave it near insect infested areas to drive roaches away. Make a solution by combining 10 drops of cedar essential oil, 2 cups of baking soda, 4 tablespoons of borax, and 4 drops each of lemon and white fir essential oil. Sprinkle this mixture in every corner of your house. You can also sprinkle it on upholstered furniture and carpets and vacuum it after half an hour. This repels roaches as well as ticks, mites, spiders, fleas, and bedbugs. Server responsed at: 04/25/2019 8:13 a.m.